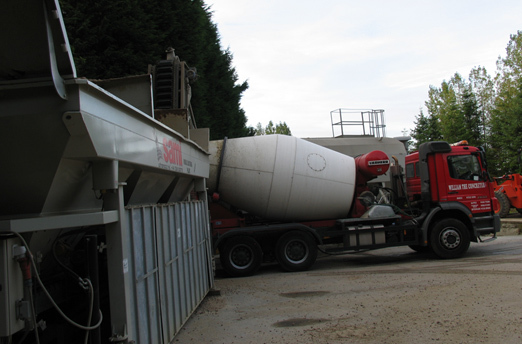 Small Load Specialists - Mixed On Site To suit your exact requirements and save on any wastage... we can mix the concrete on site! This method will also give you time to lay the concrete. For loads from 1 to 12 cubic metres. We specialise in supplying small loads for reduced or restricted access areas using trailer pumps where necessary for a variety of different projects and applications. A lorry can carry up 11.5 cubic metres per vehicle and cater for larger loads if required... please ask for details. We also offer a professional laying service however please ring for futher information. 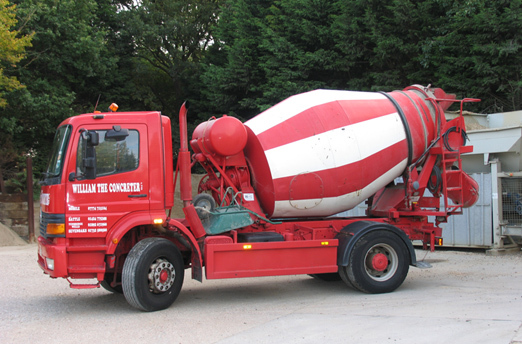 Using this quantity calculator, you can find out just how much concrete you need. Use the top form for Metric sizes and the lower form if you prefer feet and inches. Enter values for the length, width and depth. Then click "Compute". 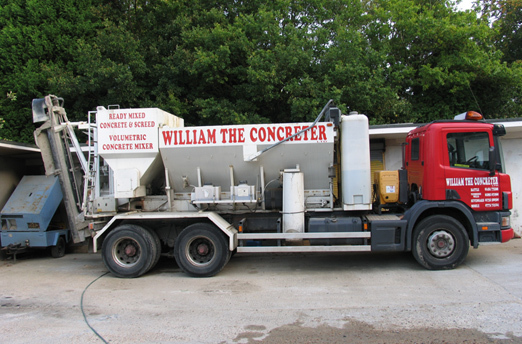 William The Concreter Limited is committed to ensure the health, safety and welfare of all it's employees whilst at work and further to ensure that other persons not in its employment are not adversely affected by it's work activities. Management will ensure, so far as is reasonably practicable, that whilst on company premises customers, contractors and visitors are not exposed to risks to their health and safety and will give such persons any information about the undertaking as is necessary to ensure this. Take reasonable care for their own health and safety and that of others who may be affected by their acts or omissions. Co-operate with management and any other persons to enable the Company to fulfil ts legal obligations. Not to interfere with or misuse anything provided in the interests of health, safety and welfare. The Company will seek to promote its policy by all appropriate measures. It will provide such resources, organisational arrangements, systems of work and training as required. The Company will provide the necessary resources to ensure the full implementation of this policy and the Board of Directors will give full backing to all those committed to achieving the policy objectives. In order to keep abreast of new legislation relating to health and safety we are committed to undertake an annual review of this policy and to update and make changes as necessary. How soon can I use my concrete slab after placing? Concrete will not achieve its full strength for 28 days but, by the use of special admixtures and/or alternative cement types, it is possible to produce a concrete which may be usable within two or three days. Ambient temperature will have an effect on the time required before the concrete can be trafficked; ambient temperatures below 20°C will require longer curing time and would benefit from the use of insulating coverings (such as frost blankets or straw) to maintain the rate of strength gain. All concrete should be cured for at least seven days before it will achieve full durability, best achieved by using curing agents or covering with polythene sheets, which are applied to the surface of slabs. What is the risk from contact with wet concrete and mortar? Wet concrete can cause severe chemical burns to skin and eyes. This is because water mixed with cement becomes a strong alkali (caustic) liquid. In addition to being caustic this liquid also acts as a local anaesthetic which means burns can occur without feeling any pain at the time. Severe concrete burns are likely to require skin graft reconstruction. If there is a risk of contact with wet concrete (or any other mixture of cement and water) then waterproof clothing should be used to protect the parts of the body that are at risk – waterproof gloves if there is a risk of hand contact; waterproof boots if there is a risk of foot contact; waterproof trousers if there is a risk of leg contact, etc. 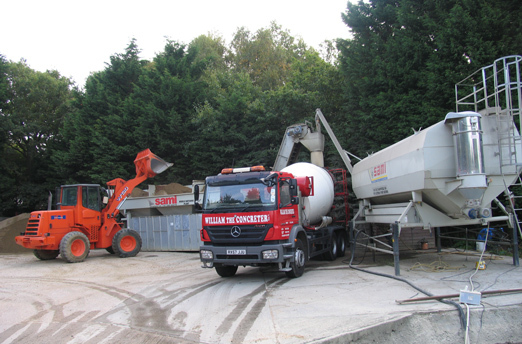 When working with wet concrete you should always be alert to the risk of accidental contact. As soon as you are aware of skin or eye contact, stop what you are doing and thoroughly wash the affected area. In the case of contact with the eye, medical advice should then be sought to ensure that all traces of the concrete have been removed.he risk of chemical burns is only present when concrete is wet. Once it has set the alkaline liquid is no longer present and it is safe to touch. I am planning to use a large amount of concrete in the construction of a new house. Are there any sustainable options available? Yes. 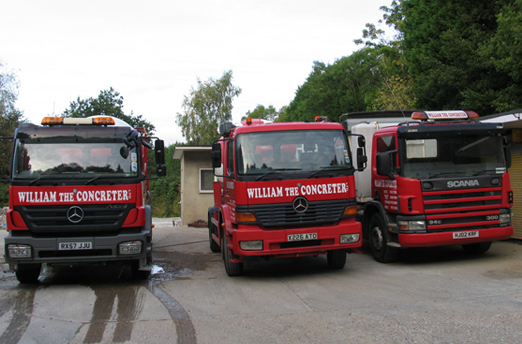 William The Concreter provide Ordinary Portland Cement which is suitable for foundations, pavements and structural projects and we can also design and supply bespoke mixes to suit individual needs. My site doesn’t have appropriate access for delivery! 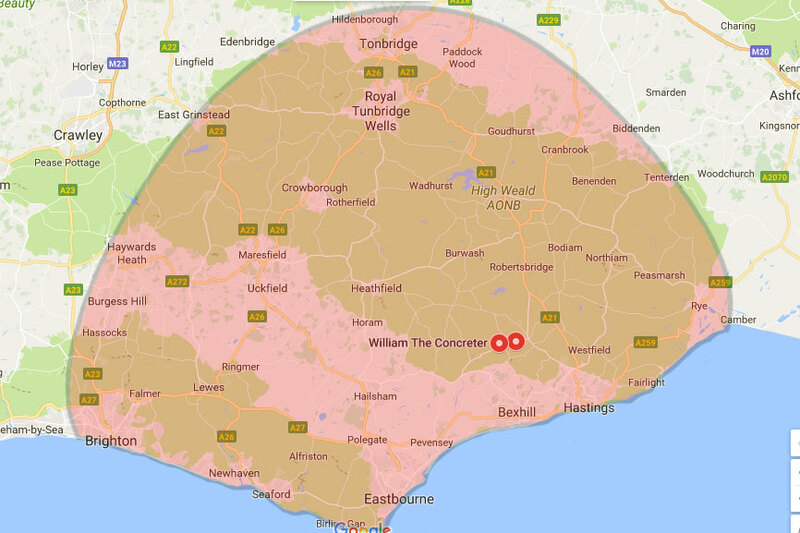 We understand that our trucks aren’t always suitable for deliveries requiring small volume orders or with restricted access. 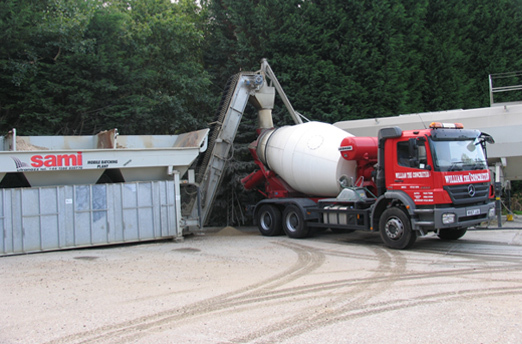 Which is why William the Concreter offer a mini mix operation. This is a dedicated small contract delivery service for customers where we are happy to provide a 'Hand Barrowed' service where required.If this is appropriate to you please let us know in advance. Small 4.5m truck for limited access deliveries.